If you have are tired of using chemical based colours on your hair and are dying to try something natural, it's time to dump them in the bin and head to the kitchen. Yes, you read that right! You can very well miss that trip to the salon to get that touch up to cover your grey hair and simply take a sip of the good old chai, literally! You will be surprised to know the beauty benefits of tea, specially black tea in darkening grey hair. 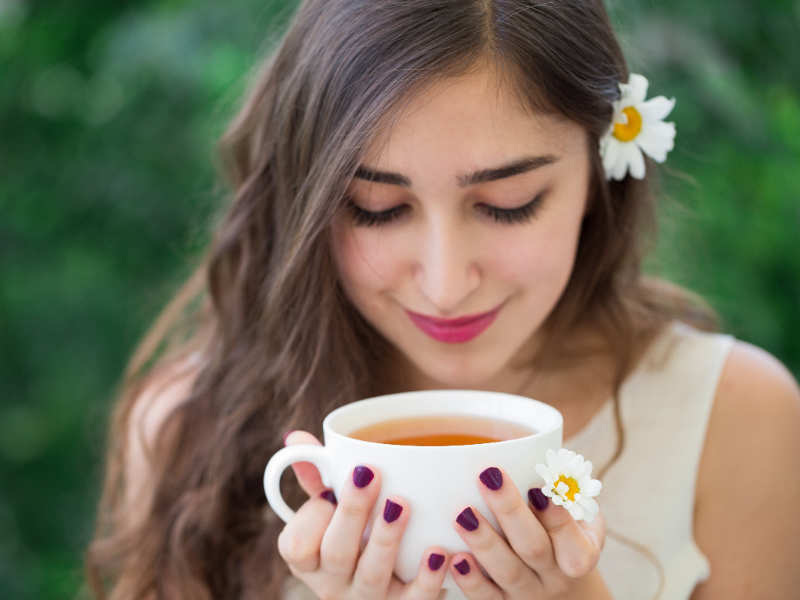 Here's a look at five black tea concoctions that can promise you dark black hair! Black tea is full of tannic acid which can darken your hair over time. Brew a few cups of very strong black tea (using 6 tablespoons/ 6 teabags), cool it and pour it through your hair. Let it soak for up to 30 minutes before rinsing out with warm water. It's a known fact that brewed ground coffee beans or instant coffee granules can temporarily stain your hair to dark brown and you can mix coffee with tea for long lasting results. All you need to do is boil three black tea bags into three cups of water. Now, add three tablespoons of instant coffee to the mixture. Boil the mixture for 5 minutes. Once the mixture has cooled down, take a brush or the hair colour applicator and apply the concoction onto your hair. Let the liquid sit for an hour and rinse it off with regular water. You need to make a strong black tea. Now, turn your hair upside down into the sink and rinse your hair with black tea. Let the liquid rest for at least 15-20 minutes. Now, repeat the black tea rinse at least 2-3 times on your hair. This will give you a beautiful rich dark black colour on your hair. Pour seven black tea bags with two rosemary leaves and two oregano leaves and boil them completely. Now, apply the mixture all over your hair and let it sit for at least 1-2 hours depending on your hair length and the extent to which you want your hair to turn black. Wash off the liquid with normal water.